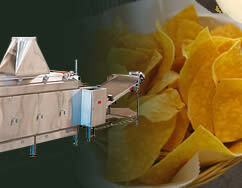 Since 1950 Casa Herrera has delivered quality equipment to the snack food and tortilla industries. 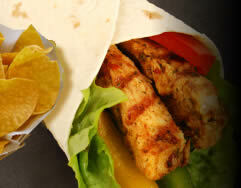 Our products are continually updated and improved to provide the most energy efficient ovens, fryers and sheeters as well as industrial baking systems for your wheat and corn tortilla production, chapati bread and tortilla chips or start up systems for full-scale mass production. Odyssey Ovens range in size, production capacity and throughput from restaurant to full-scale industrial manufacturing of tortillas, chips, chapati, and specialty baking items. The Odyssey Ovens can be custom configured with Presheeters, A-Frame or Countertop Sheeter Head features as well as Incline or Flat Bed Conveyors. Don't see what you want? Contact us for more information and to customize the Odyssey Line to your exact specifications. 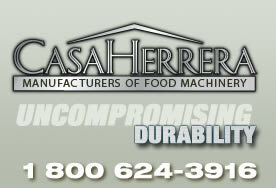 Casa Herrera Odyssey Series Corn Oven is available in 90 in., 120 in., and 150 in. lengths with 2 or 4 row sheeter heads. 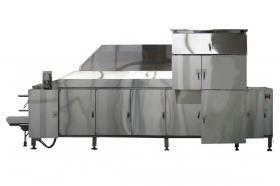 The Odyssey Ovens represent the latest technology in combustion, retulation and fuel efficiency. 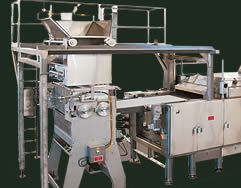 Casa Herrera, Inc. can customize these ovens in a variety of sizes for standard Tortilla factory operations or be designed for In-Store or Supermarket requirements.